A woman in a window, some stars, the rain and a man crossing a river. . . The myth of the Weaver Girl and the Cowherd originally comes form China, and is popular throughout East Asia. It tells of separated lovers who become the stars Altair and Vega. These two stars are kept apart by the “River of Heaven” or Milky Way but are allowed to meet on one side of the river on the seventh day of the seventh month each year. This story is is the basis of the Qixi Festival in China, the Tanabata Festival in Japan, and the Chilseok Festival in Korea. Chingnyo (Weaver Woman is a hauntingly magical and imagistic short story written by Korean writer O-Chonghui, who has been referred to by Korean literary scholar Dr. Bruce Fulton as “the elder stateswoman of Korean literature.” It is a contemporary retelling of the Weaver Girl and Cowherd myth, but embraces the loneliness and tension of relationships, separation and social expectations. O’s story depicts a woman in a modern apartment looking out her window waiting for her husband, and the reader travels through her eyes, memory and imagination. Miseli Jeon’s gorgeous translation of O’s story has been published in a collection of Korean short stories Waxen Wings. 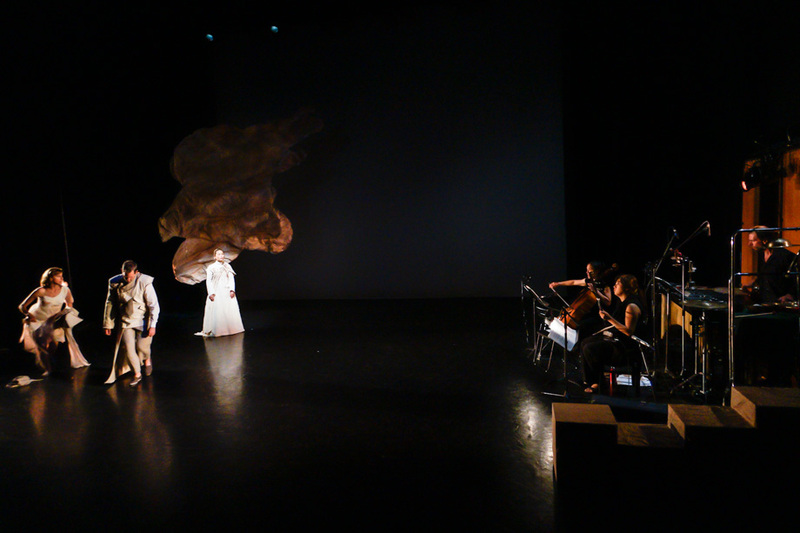 The Performance Project: Weaver Woman is a dance-theatre project that will involve movement, text, music and projected scenography. It is choreographed and performed by TomoeArts Artistic Director Colleen Lanki, working in collaboration with dancer-actor Matthew Romantini. Colleen is a specialist in nihon buyoh (Japanese classical dance) and Matthew is an expert in transforming literary works into performance. The choreography is based on a nihon buyoh (Japanese classical dance) vocabulary and aesthetic combined with expressive movement and gesture. The music for Weaver Woman is by Lan Tung for erhu (Chinese lap fiddle), voice, percussion, and cello. Lan is an internationally renowned composer and musician and the leader of the Orchid Ensemble. Lan Tung, members of the Orchid Ensemble, and special guests perform the music live. Actor and playwright Maki Yi performs the text and acts as dramaturge on the project. Maki is an interdisciplinary artist, and fluent in English and Korean. The full production of Weaver Woman in summer 2015 will involve full stage projections as the main scenographic element designed by Jessie award winning lighting and projection designer Parjad Sharifi. Using projections and precisely placed objects and images, the story’s magical images will come to life through light and space. 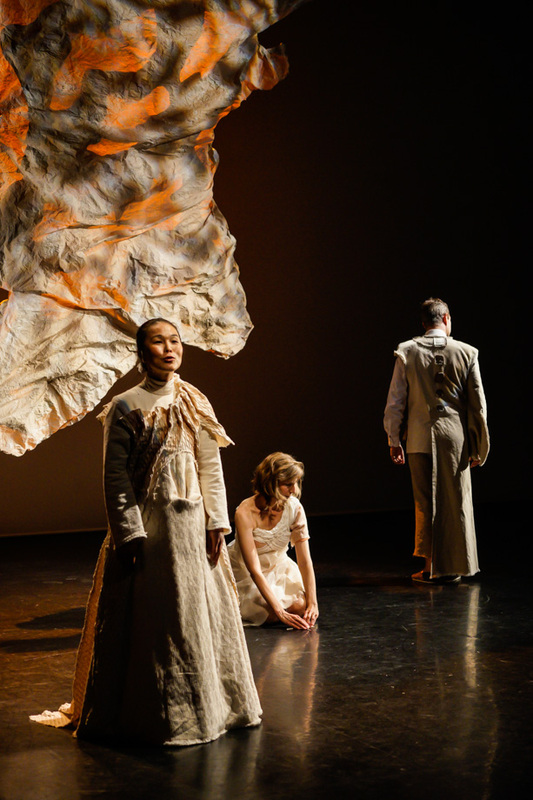 Designer and textile artist Ines Ortner will create the costumes for Weaver Woman. Ines works with costume and fashion, but also with wearable objects and textile art.